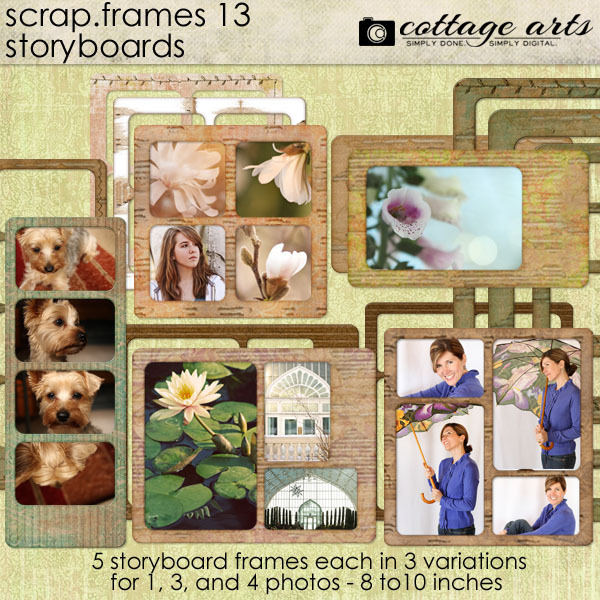 Build beautifully framed, stylish storyboards/layouts in minutes with Scrap.Frames 13. 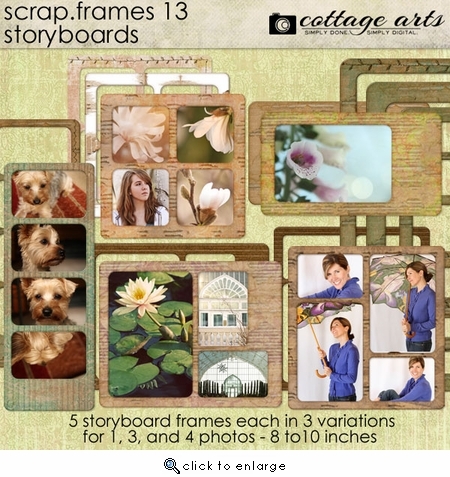 This set comes with 15 different storyboard-style collage frames (5 collage formats for 1, 3, and 4 photos, each in 3 different patterns: cardboard, distressed paper, painted/stitched). Sized between 8 and 11 inches at 300 dpi. Perfect for framing favorite images or for creating a super speedy layout. Can re-size to other sizes, rotate, or flip.